Why is body image so important especially early in life? I think it can really shape your habits/behaviors as you go through teen years and into adulthood. It can have a true impact on how you treat your body both physically and mentally. Self esteem is all about how much you feel you are worth and how much you feel other people value you. As a personal trainer I actually see a lot of self hate in people, and I often wonder why and when did this start? I have heard more than once “I wish I could be like you” OK well why don’t you just be the best YOU that you can possibly achieve? Guess what I am not perfect by any stretch and neither are the celebrities you see on magazines at the grocery store. I know my strengths and I know my weaknesses and all I can do is work towards being better every day. Some people struggle with their self-esteem and body image when they begin puberty because it’s a time when the body goes through many changes. These changes, combined with wanting to feel accepted by our friends, means it can be tempting to compare ourselves with others. The trouble with that is, not everyone grows or develops at the same time or in the same way. Our early teens are a time when we become more aware of celebrities and media images — as well as how other kids look and how we fit in. We might start to compare ourselves with other people or media images (“ideals” that are frequently airbrushed). All of this can affect how we feel about ourselves and our bodies even as we grow into our teens. Family life can sometimes influence our body image. Some parents or coaches might be too focused on looking a certain way or “making weight” for a sports team. Family members might struggle with their own body image or criticize their kids’ looks (“why do you wear your hair so long?” or “how come you can’t wear pants that fit you?”). This can all influence a person’s self-esteem, especially if they’re sensitive to others peoples’ comments. People also may experience negative comments and hurtful teasing about the way they look from classmates and peers. Although these often come from ignorance, sometimes they can affect body image and self-esteem. Recognize that your body is your own, no matter what shape or size it comes in. Try to focus on how strong and healthy your body is and the things it can do, not what’s wrong with it or what you feel you want to change about it. If you’re worried about your weight or size, check with your doctor to verify that things are OK. But it’s no one’s business but your own what your body is like — ultimately, you have to be happy with yourself. Identify which aspects of your appearance you can realistically change and which you can’t. Humans, by definition, are imperfect. It’s what makes each of us unique and original! Everyone (even the most perfect-seeming celeb) has things that they can’t change and need to accept — like their height, for example, or their shoe size. Remind yourself that “real people aren’t perfect and perfect people aren’t real (they’re usually airbrushed!)”. If there are things about yourself that you want to change and can, do this by making goals for yourself. For example, if you want to get fit, make a plan to exercise every day and eat healthy. Then keep track of your progress until you reach your goal. Meeting a challenge you set for yourself is a great way to boost self-esteem! When you hear negative comments coming from within, tell yourself to stop. Appreciate that each person is more than just how he or she looks on any given day. We’re complex and constantly changing. Try to focus on what’s unique and interesting about yourself. Try building your self-esteem by giving yourself three compliments every day. While you’re at it, every evening list three things in your day that really gave you pleasure. It can be anything from the way the sun felt on your face, the sound of your favorite band, or the way someone laughed at your jokes. By focusing on the good things you do and the positive aspects of your life, you can change how you feel about yourself. When you have time check out more info on this topic from www.kidshealth.org , let’s guide our kids in the right direction to be healthy and fit! 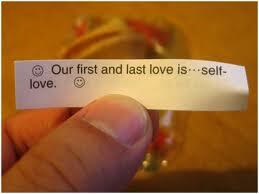 To be the best of themselves as they can and start building their self-esteem! Previous Family Friday Fitness Challenge!